The Great Pacific Garbage Patch is estimated to cover an area of approximately 1.6 million square km. Trash collected by the seaside. The Great Pacific Garbage Patch is in the middle of the Pacific Ocean. The location of The Great Pacific Garbage Patch continues to change due to interannual variabilities of winds and currents which are seasonal. The floating objects exist predominantly since they are influenced less by winds and currents. The objects are therefore likely to remain within the patch. Researchers followed the location of the patch by simulation of concentration levels in the North of the Pacific. They were able to demonstrate the important seasonal and interannual variations and they were able to determine the patch rotates around 32°N and 145°W. With time, the team of researchers was able to note that there was a shift from the west to the east. There was also substantial variation in the latitude which was dependent on the year. The Great Pacific Garbage Patch is estimated to cover an area of approximately 1.6 million square kilometers. Researchers used a very elaborate sampling method to formulate the size of the Great Pacific Patch. A total number of 652 surface nets, a fleet of 30 boats and two flights were used in this sampling method to get the picture of the debris. Different locations were also sampled so that the accuracy of the sampling method would increase. The patch is in the North Pacific Subtropical Convergence Zone. The first publication about the Great Pacific Garbage Patch was made in 1988 by the National Oceanic and Atmospheric Administration (NOAA) of the United States. The details made in the publications were based on results that researchers from Alaska had obtained. The researchers discovered very high concentrations of marine debris that accumulated in regions that were experiencing ocean currents. They extrapolated findings from the Sea of Japan. From the extrapolation, they predicted that very similar conditions are likely to occur in other parts of the Pacific Ocean which experienced prevailing currents. The patch is not visible to the naked eye since the debris is very tiny. Scientists estimated that the density of this debris is 5.1 kilograms per square kilometer of ocean area. A similar patch was discovered in the Atlantic Ocean, and it is referred to as North Atlantic Garbage Patch. Most people refer to the Great Pacific Garbage Patch as a “trash island.” However, Holly Bamford who is a former director of NOAA differs with this description. A study that was conducted early this year revealed that the area of about 1.6 million square kilometers contains 79,000 tons of floating plastic. Recent voyages have also revealed that it is relatively dense in the area despite it lacking cohesion. A team of researchers collected microplastic pieces amounting to 750,000 per square kilometer. The researchers used multiple imaging methods that incorporated low-altitude and low-speed flights. 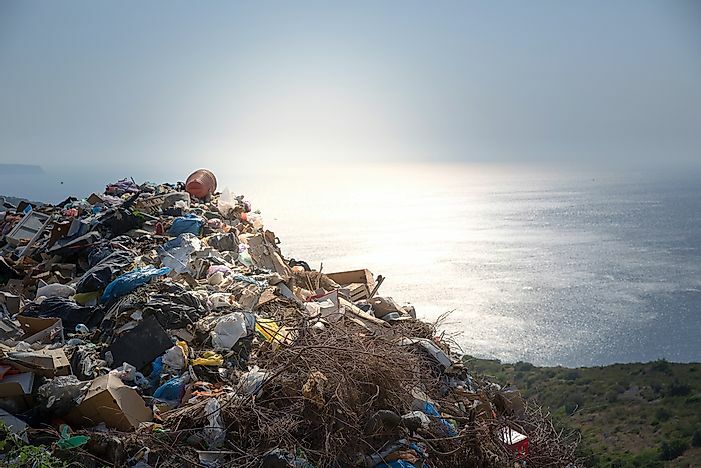 The researchers noted that much of garbage patch is plastic which poses a very big problem in their research because plastic is non-biodegradable. Sunlight affects these plastics since it makes them photodegrade, meaning the plastics become microscopic as time goes on. This reduces the visibility of the plastics. The Great Pacific Garbage Patch also contains other materials like rubber, metal, and glass. How Long Does it Take for Garbage to Decompose?